Bought this watch to replace a watch that I have had for years. The watch is excellent quality and keeps excellent time. Would highly recommend this and other Casio products to anyone. The EFR545 series of timepieces are powered by light via Casio.s Tough Solar technology. Their rechargeable battery life is approximately six months on a full charge without further exposure to light. These eco-friendly solar battery-powered timepieces can be charged even in low or fluorescent light, eliminating the need for continuous battery changes. 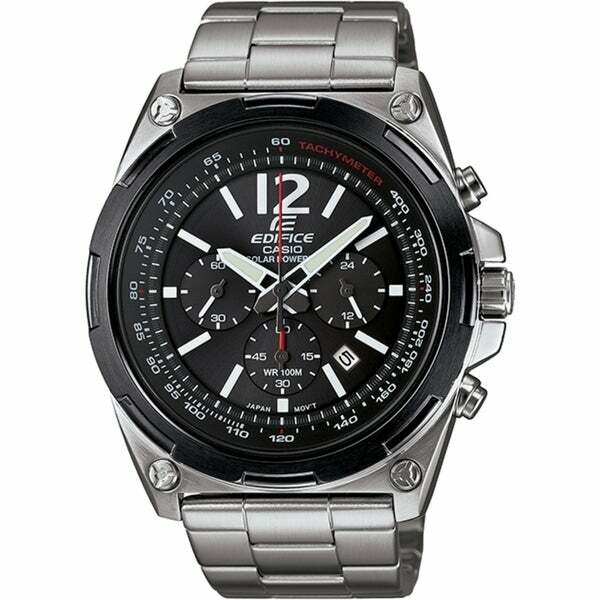 In addition, Casio.s new EFR545 series of timepieces come equipped with a 1/5th second chronograph, tachymeter, 12/24 hour sub-dial, and are water resistant up to 100 meters and also feature a low battery alert. look great and the prize is right.